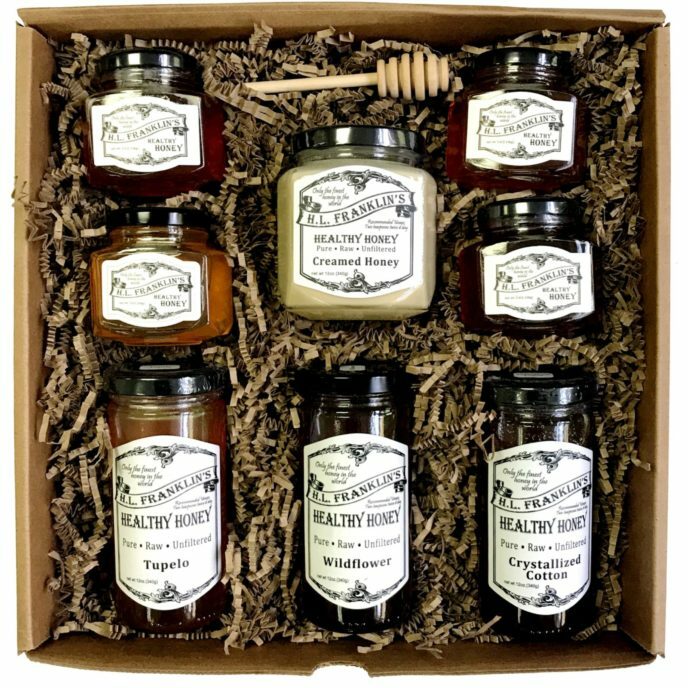 This Ultimate Honey Lover’s gift box contains (1) 12oz jar of our Creamed Honey, (1) Honey wand, (3) 12oz jars of Crystallized Cotton, Tupelo, & Wildflower, and (4) 5oz jars of Gallberry, Palmetto, Orange Blossom, & Sourwood floral variations. H.L.Franklin’s Healthy Honey Gift Boxes are the perfect way to give a healthy gift this holiday season. 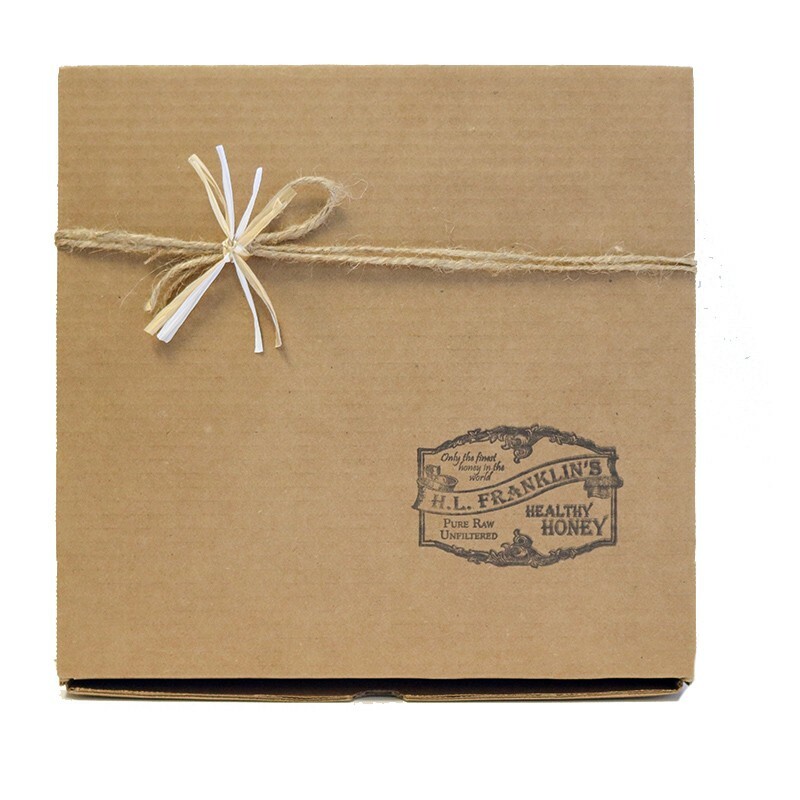 Each kraft box is prepared with brown crunch fill that nestles our glass jars perfectly inside. 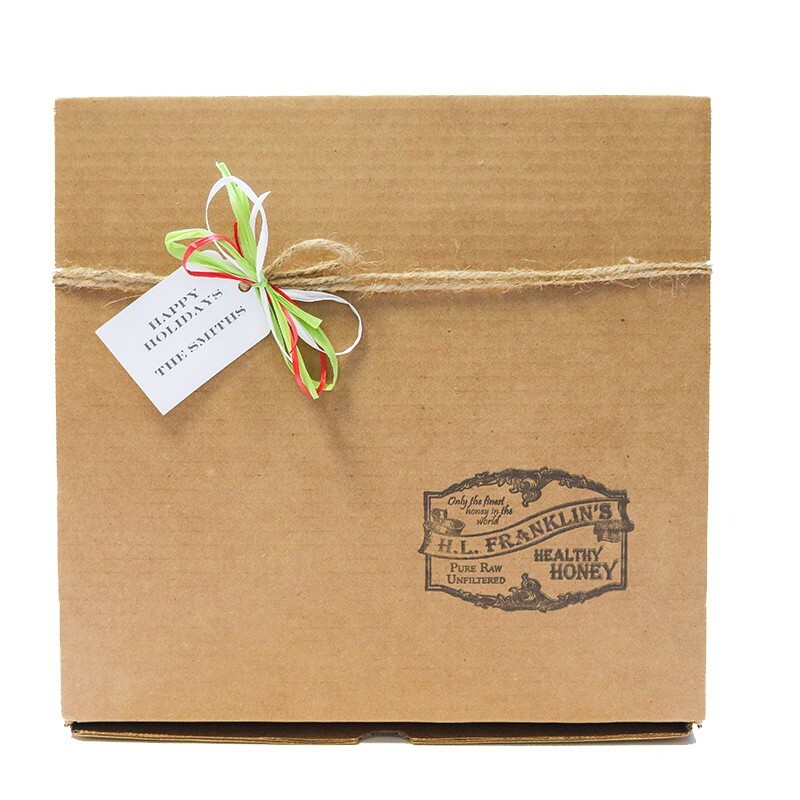 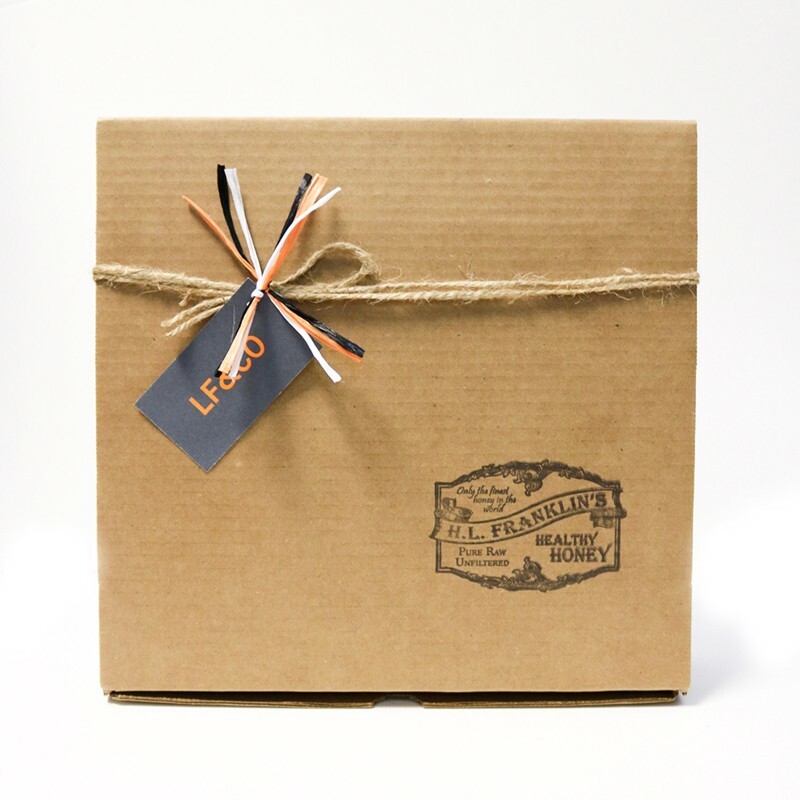 The gift boxes allow you to sample multiple flavors of the honey for one low cost. 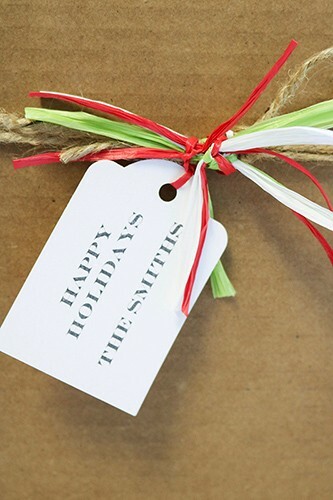 The outside of the gift boxes can be wrapped with the signature white and neutral raffia ribbon, or a the holiday red, green, & white raffia ribbon to create a beautiful bow on top.